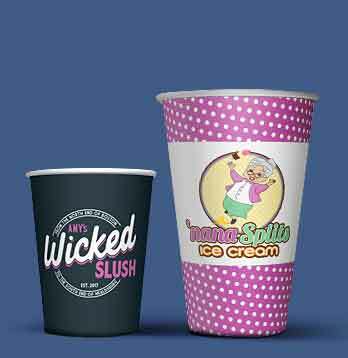 Printed paper cups are a proven, compelling product for coffee shops, bakeries, ice cream or food vendors, companies large and small, event organisers, and brands. Use for cold drinks and for hot drinks by slipping on our sleeves. Made from high-quality, 16.5pt. heavy-grade Cupstock Board. Printed all over with high-resolution CMYK printing. All ECHA approved odourless and food safe inks. 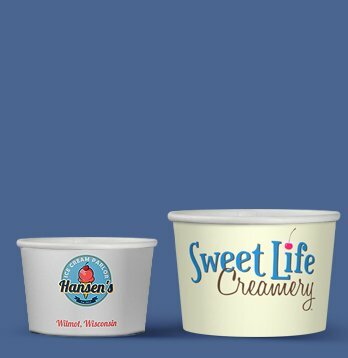 Perfect for single-serve ice cream, frozen yoghurt, and other goodies and snacks! Made from 16.5pt. heavy-grade Cupstock Board. Printed all over with high-resolution CMYK printing with food-safe and odourless inks. 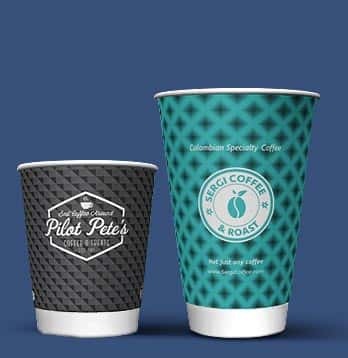 A study carried out by the Dortmund Institute for Marketing Consulting proved that a branded, printed paper cup can create up to 34 new contacts for your business. 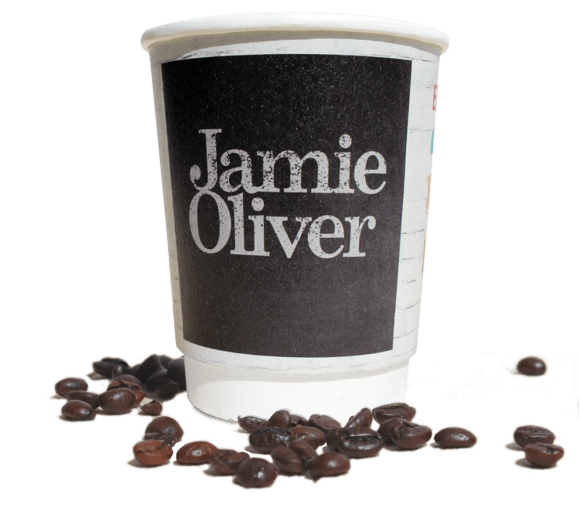 70% of people can actually recall and describe the branding on the cup long after seeing it. 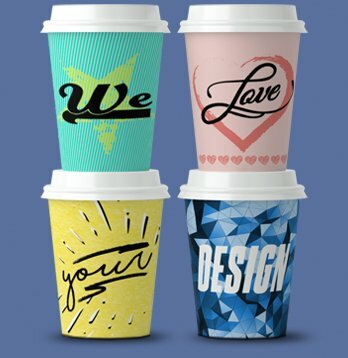 No wonder large coffee chains have branded, printed paper cups. Made in Ireland with fast, easy access to UK customers. 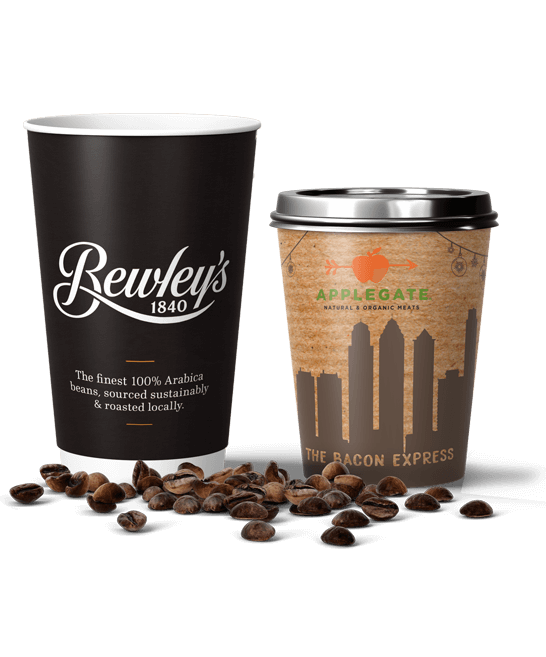 Direct from our state-of-the art European manufacturing plant, our printed cups are made in Ennis, Ireland, with speedy transport links and easy communication with European customers. 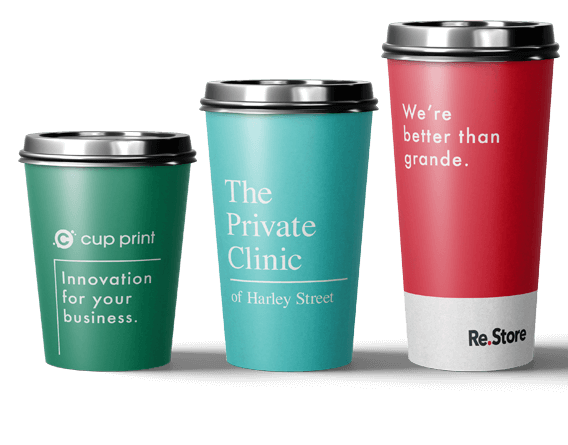 And if you need your custom printed cups even faster – let us know.